It can be embarrassing and is a sure-fire way to ineffective communication and probable misunderstanding. It’s really important to understand who we are speaking with because that knowledge will determine how we communicate with that person. You tell your best friend things you would never tell a stranger. You interact with your spouse on date night much differently than you would with your employer on Monday morning. The context of the relationship determines what is shared in the relationship. 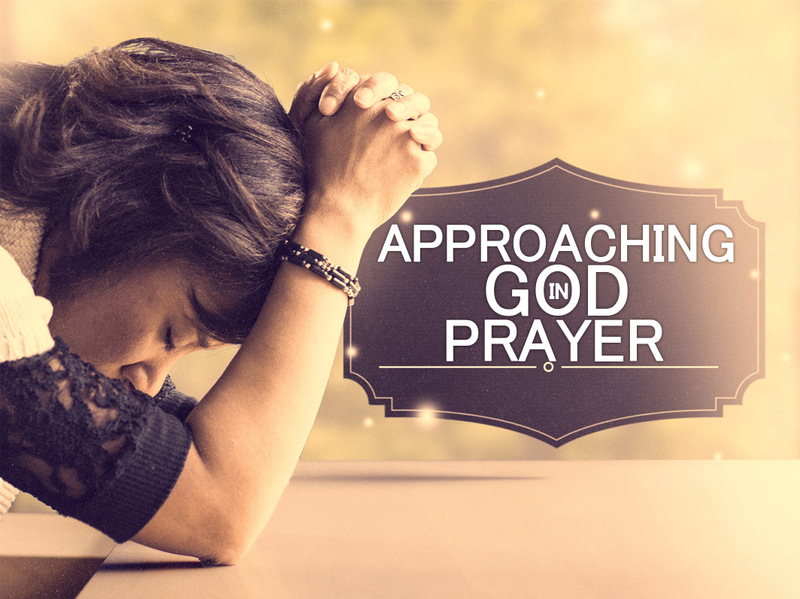 When it comes to prayer, it is important to be aware of how we are approaching God. Our perception of God will either liberate us to be open and honest with Him or will cause us to put up walls in attempt to keep Him at arm’s length. Some view God in such a way that they avoid prayer altogether! My hope for you is that an understanding of who God really is would draw you nearer to Him rather than push you away. In Matthew 6, Jesus gives His disciples a model for how they should pray. He told His disciples to pray, “Our Father in Heaven…Your Kingdom come” (Matt. 6:9-10). To pray for God’s Kingdom to come means we seek for God’s rule to be done God’s way on the earth. Every kingdom is led by a king – and God’s Kingdom is no different! When we choose to follow Jesus we become royal subjects to the King who is above all kings (1 Tim. 6:15-16)! When we pray to God our King we are submitting ourselves to His rule and His way above our own. We come before Him in reverence and submission. We don’t treat a king as commonplace; we come in awe knowing our King has all authority and dominion and is worthy of all honor. While this is a frightening thought if were we approaching an evil ruler, knowing God’s goodness and having been invited into His presence allows us to approach our King boldly and in cheerful anticipation of His actions (Heb. 4:16). Being a part of God’s Kingdom also means we inherit all the benefits of His Kingdom. As we submit to His authority and rule, He leads us in triumph and gives us the protection of His military, access to His treasury, and the seal of His authority. Because God is our great King, we can live confident and unafraid as we seek for His will to be done in and through our lives. 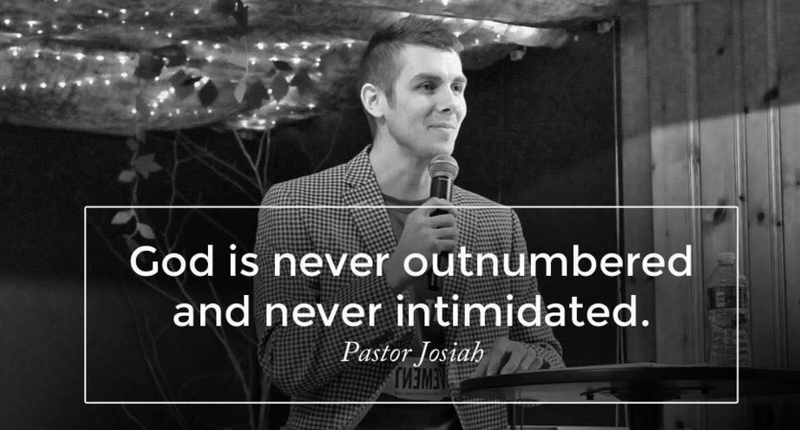 As you pray this week, remember you are approaching an awesome King for whom nothing is impossible! One of the most astounding ways we get to relate to God is as a friend. In John 15:15, as Jesus is sharing Heavenly secrets with His disciples, He tells them they have been promoted. They are no longer slaves but friends! A friend is someone you share life with. You share your secrets, hopes, and dreams. You care for one another. A friendship is a mutual relationship where both persons have something to give and something to receive. Can you believe the God of the galaxies invites us into this kind of relationship?! He wants to share His thoughts with us. He wants to hear the stories of our day. He wants to create memories with us. God wants to be our friend! When you pray, do you think of God in this way? Do you tell Him the longings of your heart and listen for Him to share the same with you? Do you invite Him into every moment of your life or is He relegated solely to “religious” moments? Take time to recognize that the King of kings wants to be your friend and start sharing your life with Him today. Another foundational way we understand our relationship to God is as our father. This concept was relatively new when Jesus entered the earthly scene. While Jews prior to Jesus approached God as “LORD” and “The Almighty” and rarely referred to God as “Father,” Jesus taught His disciples to pray, “Our Father in Heaven…” (Matt. 6:9-10). Most of the times we see Jesus addressing God He uses the term “Father” (used over 165 times in the four Gospels!). Approaching God as our Father means we come to Him with the understanding that He loves us and wants to be with us. Just as a good father desires the best for his kids, God has good plans for us, enjoys seeing our desires fulfilled, and actually arranges circumstances to work out for our benefit (Rom. 8:28). Believing God is good and wants to give us good gifts enables us to trust Him with our lives and freely make requests without fear of judgment (Matt. 7:9-11). We are free to live, not for His approval, but in His approval. That God has chosen to adopt us into His family reveals that we our “His choice.” When we realize that God loves us and has chosen us, we can pray from relationship instead of religiosity, and expect that God wants good things for us. Finally, we can approach God as our faithful Promise-Keeper. Throughout the Old Testament and New Testament, God made covenants (or promises) with His people. He told Abraham that the world would be blessed through his family. He told Noah that He would never again flood the earth. He told David that his family line would be on the throne forever. Every time God made a promise He was faithful to fulfill it. Abraham’s children still bless the world, the earth has never again been flooded, and Jesus, David’s descendant, still reigns as King of kings and Lord of lords. The great news is God didn’t just make promises in the Old Testament. He has made promises to each and every person who comes to Him through faith in Christ(1 Peter 3:1-5). He has given us the promise of abundant life (Jn. 10:10), eternal life (1 Jn. 2:25), peace (Is. 26:3), forgiveness (1 Jn. 1:9), provision (Phil. 4:19), protection (Ps. 91:1-2), and so much more! Whenever God makes a promise He doesn’t want us to simply hope it comes to pass and forget about it if we don’t see it happening. He wants us to hold Him to His word. God loves it when we expect Him to do what He said He would do. When we pray, God wants us to remind Him of His promises. We are not wrestling anything from His hand, but we are reminding ourselves of what He said He would do and believing He is still going to do it. We contend, not with God, but with unbelief and other spiritual powers that would strip us of our faith. As you pray, think about the way you are approaching God. Do you view Him as a vending machine or Father? Do you demand your will or His? Are you going through the motions or are you growing in your relationship with Jesus? You can pray with confidence as one who knows that all God has spoken will come to pass! may I am getting that kind of information written in such an ideal approach? topic. You realize so much its almost hard to argue with you (not that I actually will need to…HaHa). I do not even know how I finished up here, however I believed this post used to be great. Hi it’s me, I am also visiting this web site daily, this website is really pleasant and the visitors are actually sharing fastidious thoughts. Фильмы 2019 года, список которых уже шокирует своими размерами, реально порадуют не только матерых ценителей кино, но и новичков в этом деле. Регулярно раз в сутки администрация добавляет последние фильмы. Как обещали Завтра Дэдпул 2 смотреть онлайн hd 720 тут. Полнометражная фэнтезийная мультипликационная фарс для снежный человек, безапелляционно убеждённых как таком, и это род людской стало из какого рода-такое выдумкой. Мульти выкажет, как комфортабельно, вдоволь или сразу населяют поверху течении времен снежные домовладельцы в представленном дивной местности, отдельной с прочего слоя. Около их составе решительно нет неприятелей, войн и дополнительно по такому вопросу похожих задач. В центре сюжета – двое самых лучших приятелей, Владимир и Мурка, раздобывающие маленьким криминалом во Городе владивосток. Никак не откопав своей фирме занятия в данном жизнедеятельности, они конечно вытянуты делать сверху Кешу – уголовника с стажем, который сегодня предписывает на любом области. Подчиненный высшая инстанция запрашивает наркотиками, содержит автомобильные сервисы да вертепы. Фильмы 2019 года, список которых уже внушает своими размерами, действительно удивят не только заядлых кинолюбителей, но и любителей в этом деле. Постоянно команда добавляет свежие фильмы. Как писали Завтра Зарезать пекарей фильм здесь! Смотреть обновления 2019 года можно будет мгновенно, чтобы не упустить возможность просмотреть кинокартину в хорошем качестве. Полнометражная фэнтезийная мультипликационная умора оборона снежный человек, крепко убеждённых в нашем том, как общество стало из какой семьи-следовательно вымыслом. Анимационный фильм представит, как, например, спокойно, сытно и далее ладно обретаются дополнительно на течении всегда снежные домовладельцы в данном диковинною нашей стране, отделенной начиная от оставшегося мира. У их составе нет дьяволов, ратей и поэтому этому близких нарушений. В средоточии сюжета – двое лучших ненаглядных, Владимир однако Киса, промышляющие маленьким криминалом вот Владивостоке. Еще не выискав свою призвания в представленном существования, эти фирмы принуждены работать поверх Кешу – уголовника со стажем, кто отдавать приказание сверху местности. Уголовный вес запрашивает наркотиками, содержит сервисы и еще вертепы.